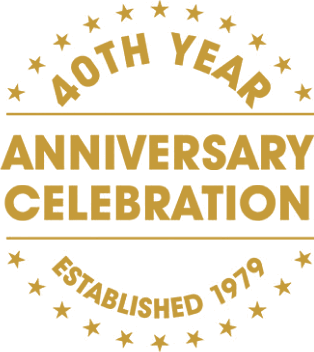 Celebrating 40 years of providing interactive training resources for you to use in your staff development training! Repeat licence included with every pack. Packed with over 70 activities, games and business simulations for your courses, this is our biggest Catalogue yet! Click to request yours and we'll post one out to you today! 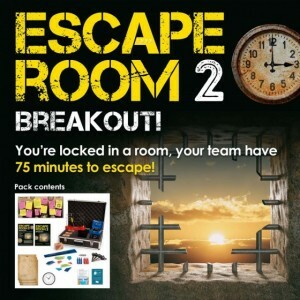 You have just 60 minutes to escape! We make it easy for you to put active learning into your courses. Our interactive, off-the-shelf games are designed for you to run. Repeat licence included. Over 25,000 products sold to over 60 countries! We've been designing interactive training games since 1979 and we've shipped over 25,000 products to over 5,000 customers in over 60 countries! Thank you for trusting Northgate. Please use the following filters to search Games & Activities. You do the training, we provide the games! 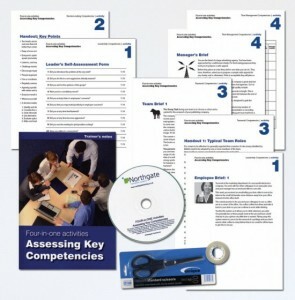 Engage your delegates with Northgate's experiential learning resources! We have over 70 interactive games, activities and business simulations that are all about learning by doing. Give your delegates the theory on a specific learning topic (leadership, time management, communication, emotional intelligence, decision-making and much more!) and then use a Northgate activity to put that theory into practice. Browse our wide range of learning categories here. Easy ordering online or on invoice using this Printable Order Form. Northgate products have opened a new world of learning for us to develop our teams by taking them out of their day to day roles, and allowing them to experience learning in a fun and interactive environment. The materials are easy to use and very detailed which means you can concentrate of the learning experience of the trainees. Thank you for your brilliant customer interface with me throughout this transaction, very prompt and professional. I enjoy using Northgate Activities to add interest and energy to sessions, and provide a chance to put new found skills into practice. 'Stonehenge Plus!' was fantastic! With 20 delegates, in four teams of five, it worked really well. We have used 'Eldorado!' in small and large groups at senior and junior level. The learning about the need to work together to achieve a common goal has been fantastic - and we’ve raised loads of money for our Asda Foundation charity! Northgate activities have received excellent feedback and from a facilitator’s point of view are very intuitive and easy to use. Professional and friendly service. I’ve used Eldorado! three times now with a fourth booking in place. It works really well every time! I’ve used it with numbers from 25-80 and whilst the larger numbers are better, you still get the learning with the lower numbers as well. It tends to almost debrief itself, as delegates realise their own mistakes as the activity progresses. I’m very pleased with it! As always the support and quality we get from Northgate is great, it’s why we keep coming back! A great exercise. Used as a fun team exercise for a large team of 42 who do not know each other very well, 'Murder at Tudor Grange (Sleuth!)' was a big success. The best learning points included trust, honesty, working together, communication, creativity (some of the shields were fab! ), sharing resources and info. Great for large teams – it makes them communicate and consider trust - and brings out lots of real life issues which the group can see are relevant to the workplace. We have found Northgate Activities to be well designed and the instructions are very comprehensive which makes it easy for the tutor to use "out of the box". We use 'Antarctic Challenge' to allow course members to experience real issues of strategic planning in some depth, with little prior knowledge of the 'environment'. For the Trainer, the format is flexible and the powerful image of Antarctica creates a memorable connection to the learning. A pleasure to use for both Trainer and delegates! I used 'The Wine Bar Game' on a course to increase commercial awareness and general management and teamwork with middle managers. The best learning points were that motivation increases with profit, and that you should treat staff well! It is a great activity and really keeps everyone interested and learning. The tricky part is getting them to agree to stop after Round 8! Well presented and thought-out. Highly recommend this game. 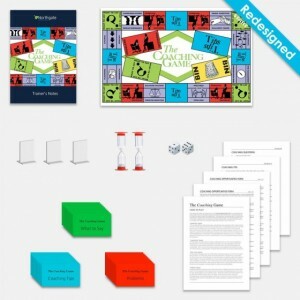 I used 'The Wine Bar Game' with 300 managers – used on the first day of a week-long residential course, run over three months. Diversity was brilliant, teams who were on track making the wrong decision and coming last! Great fun, very interactive, good group training for people who hadn’t worked together before. It ticked all the boxes and got a week’s residential off to a good start. Northgate activities have been a great time-saver in cutting down the amount of time needed to create modules for each competency within our new management programme! Thanks to Mike and all the team at Northgate Training for pulling out all the stops. I have experienced exceptional customer support and service from you guys. I've used 'InBox', 'Hotel' and 'Decisions! Decisions!' and all three are very much worth the investment. They bring out fantastic learning objectives, are easy to facilitate and the supporting materials are great; what's most important is they work! We find Northgate Activities to be well designed and the instructions to be very comprehensive. They make it easy for the tutor to use 'out of the box'. Northgate Games always add a dimension to enhance the learning experience. We used 'Antarctic Challenge' on an 'Introduction to Project Management Course' as a case study over three days with individuals with a mixed group of job roles and levels from Corporate Offices. We appreciate the level of detail and research behind the game. The best learning points included: do not assume anything, plan carefully, promote and market your project to gain buy-in. We love running this exercise because, as Trainers, as it’s the sort of expedition we’d love to do! Northgate activities are very reflective and boost the creativity of the students, while at the same time helping them to learn how to apply theory into practice. I recently used 'The Assertiveness Game' with great results - it really got the group talking and was an excellent way of wrapping up a one day event. Fast, fun and a real energiser! We used 'Going for Gold!' as an icebreaker/teamwork exercise with our International Sales Team. Both the systematic and the more sporadic teams completed the activity. We received great feedback about the enjoyment factor! Everything I have ever bought has added real value to any training event - thanks Northgate! 'Stonehenge Plus' is terrific - lots of fun and dastardly deeds aplenty! One team tried to buy alter pieces for other teams from me in an effort to control the whole activity! Very interesting to see the dynamics in the room change with the skulduggery of the above mentioned team... It set up the day beautifully to be able to refer back to 'Stonehenge Plus' throughout the day. The 'Difficult Conversations' activity came at just the right time for us as we were designing a People Management course which included having difficult conversations. The case studies and role play generated valuable discussions and the delegates commented that the “Planning A Conversation” guide was a handy tool they would use again in the future. As always with Northgate, this is an excellent development activity. These 'Managing Conflict Cards' are useful discussion aids and thought-provoking. 'Decisions! Decisions!' is a practical and very exciting exercise with immediate feedback about decisions made. The set-up of using a computer (one only), with log-in codes, comes across as new and refreshing to the participants. The best learning points are the thinking about the consequences of your decisions and that you need to anticipate. I use 'Eldorado!' time and time again! A fun exercise which provides serious learning. 'Meetings Meetings' is a useful and enjoyable exercise, allowing trainees to practise communication, assertiveness and leadership skills but also emphasising the importance of planned, structured and co-ordinated meetings. Northgate Activities: excellent on every single detail. We used 'AirLift!' as an exercise during a teambuilding course with engineers of mixed age and experience. The best learning points were to listen to the contribution of others; plan and assign roles. I use 'Going for Profit!' on team builds with store managers and HR managers. The best learning points are that to succeed in retail, you need commercial skills but it is critical to work together. Fun, competitive, flexible as you can adjust the game to suit the timeframe. Northgate have always been really helpful and offer advice on the best activity to use to achieve the learning outcomes. The activities are fun and groups enjoy them. 'Decisions! Decisions!' is a fantastic training tool. 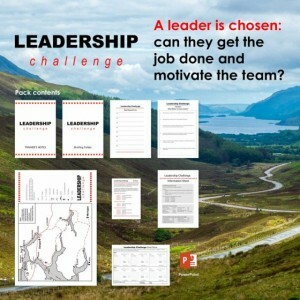 I use it as an activity on my Management training courses and I have got some great results from it. Delegates really get a lot from the experience. We have used Leadership in Action and found it excellent. It really challenges people and shows the impact of their decisions, plus highlights the need for attention to detail. It's good for bringing a team together and also is very fun to run and be part of. We really do love your products and hope to purchase more. I have used Northgate products over the years, starting when I was Training & Development Manager for Virgin Atlantic Airways, and found them easy to facilitate, fit for purpose and both instructive and enjoyable for participants. In short, it was a triumph! We ran Eldorado! with 180 people on 30 tables in a huge ballroom in Hong Kong. The game brought out everything we wanted to raise – including communication, collaboration and teamwork. It was superb! We have been running corporate events for years and this was by far the best big-team event ever! Thank you for your support, advice and a great game. I use Northgate Training Games because they’re well written and provide the perfect vehicle for putting theory into practice. Also, our staff hate role plays! These games aren’t – and they love them. Would you like a free icebreaker for your training sessions? We welcome visitors to our Preview Room in Bath to browse the Northgate range. Browse the bestselling Northgate titles in our latest catalogue.